Kruse Village golfers appreciate that it’s just five minutes to the links of the Brenham Country Club. The well-maintained 18-hole course covers over 300 acres and is a great course for both novices and experts. The club also offers a 300-yard driving range, well-stocked golf pro shop, fine clubhouse, and a beautiful swimming pool. No need to go to Napa when minutes away from Kruse Village you’ll find the Windy Winery, a boutique winery producing classic varietals and unique blends. The tasting room is located on a hill with breathtaking views. Ten minutes away in the other direction and you are at the Pleasant Hill Winery, makers of award-winning reds, whites, and roses! Stop by for a tour and savor a glass of any one of their 11 varietals. 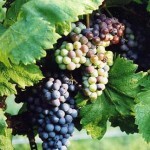 Stay on the Washington County Wine Country Trail and also visit the Saddlehorn Winery in nearby Burton. 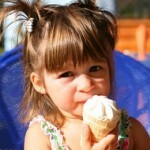 You’ll love taking the grand kids on the famous Blue Bell Creamery tour – maker of the best ice cream in the world! Texans have known for years they are privileged to live in the state with the best ice cream. Rumor has it that Brenham’s happy cows are the secret to such deliciousness. Don’t forget to try a scoop of fresh ice cream in the parlor! Historic Downtown Brenham’s Main Street District has more than 40 shops and is recognized as a National Register District. 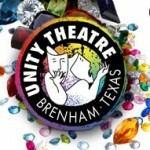 The Unity Theatre features high-quality productions year round and is walking distance to many of Brenham’s fine restaurants. Dining at the legendary Royer’s Round Top Cafe is an unforgettable experience. 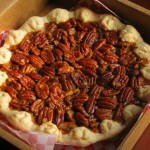 Royer’s is famous for its homemade pies and Texas steaks. During the Round Top Antiques Fair the line to get into Royer’s goes on for blocks. And everyone says it’s well worth the wait. 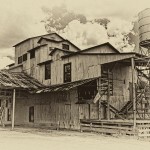 Take a step back in time when cotton was king and visit America’s oldest operating cotton gin down the road in nearby Burton, a small rural German community. Take the tour at the Texas Cotton Gin Museum and participate in the excitement of the Burton Cotton Gin Festival every third weekend in April. Like to fish? Got a boat? 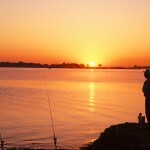 At Kruse Village you are 30 minutes away from having a line in the water at Lake Somerville, a popular recreation destination for Brenham and Washington County residents. There’s the Big Creek Marina where you can launch your boat, rent a slip or dry storage for your boat – or you can just fish off the pier! If fishing, boating, or swimming are not your thing, there is also excellent hiking and bike trails and picnicking opportunities to enjoy year round. Campgrounds and cabin rentals are also available. And don’t miss the Big Creek Cajun Country Festival in March! Kruse Village residents have so many day trips available close by, the list of parks, festivals, and museums is abundant: Brenham Heritage Museum, George Bush Presidential Library and Museum in College Station, Historic Chappell Hill, Old Baylor Parks, Seward Plantation, Texas Baptist Historical Center/Museum, the Washington County Memorial Plaza, Horseshoe Junction Family Fun Park, Ellison’s Greenhouses, Chappell Hill Lavender Farm, Antique Rose Emporium … and the list goes on! 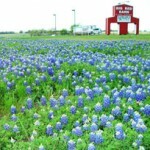 Isn’t it time to explore Brenham with all its surrounding attractions for yourself?